If you plan to watch Sunday's Academy Awards ceremony, there's a chance you could see several people with Minnesota connections up on stage accepting a golden statue. That includes Stephen Rivkin, who grew up in Minneapolis and graduated from St. Louis Park High School and the Minneapolis College of Art and Design. Rivkin, John Refoua and James Cameron are nominated for an Oscar in film editing for Cameron's epic film about a paraplegic Marine sent to the moon Pandora. It's the first Oscar nomination for Rivkin, who also edited the Pirates of the Carribean movies for Disney. MPR's Cathy Wurzer interviewed Rivkin ahead of Sunday's ceremony. Below is an edited transcript of their conversation. Q: This is your first Oscar nomination. How are you feeling? A: It's very exciting. It's really an honor to be associated with a project, after all the hard work that everybody put into it, that is so widely received in every way. 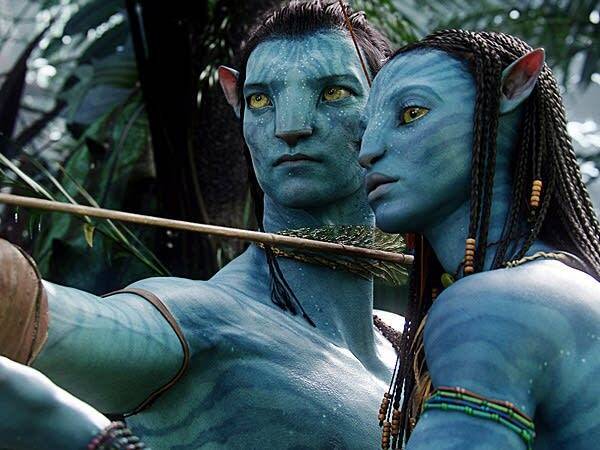 Q: Tell us a little about making Avatar. Director James Cameron reviewed every shot in the moment. Since you were editing on a digital, nonlinear computer system, how much time did you have in deciding on shots, sequences and scenes? A: I think this project was unique from the standpoint that the editors were on the stage with Jim while he was creating what we call virtual cameras. So in the CG world that was created on the digital stage, we were present and cutting the scenes while he was making shots. So there was probably more influence we had in how the scenes are shot than in a normal situation. In this case there was so much preliminary work that was done because there was a whole phase of performance capture that happened before these virtual cameras that were shot. All the actors were present for the performance capture where their motion and their facial expressions were captured, and they performed the film from end to end, one scene at a time. There were many layers of additional characters, and crowds and horses, and all of these had to be pre-edited and built into a form that could be processed and played back for Jim to create these shots. And then and only then did he decide how he was going to shoot the scene. He no longer had to concern himself with the actor's performances because we'd already selected the very best of every performance. Q: Wow, that sounds like a brand new way to look at filmmaking. A: Yeah, it was pretty revolutionary. Q: Do you think the role of an editor is about to change because of this? A: I think the role of editor is constantly changing. We are called upon to do more and more than ever before. In the olden days, even 20 years ago, editors who cut picture only cut picture and there were sound people that the film was turned over to, and they would cut sound effects, and a music department would cut music. Now all of these departments still exist, but a lot of times the editors are called upon to bring all of these things into one presentation that is initially seen by the director and producer. Q: It's like you were editing on the fly. Was it a lot of work? A: It was probably the most difficult project I've ever been involved with. And I've worked on what I thought were some pretty complicated projects. I thought the three Pirates of the Carribean films would be the most complicated that I would ever work on. I found out I was wrong. Q: What was your work schedule like? A: Twelve-hour days were a minimum. On days we were shooting, we put in 14-16 hour days. I worked more weekends. There was a constant deadline to deliver scenes because of the amount of time it took to finish them. The images that Jim would create on the stage for the virtual world were '90s video game quality. And those we called templates. When we cut the scenes with the templates and signed off on them, they had to go to Weta Digital in New Zealand. These shots were then converted to high-resolution character models and environments, and this took many, many months to do to get to the final renders that appeared in the film. So we were in a constant state of deadline. We had to turn over so many minutes per month in order to make our deadlines or else face severe financial penalties. Q: Some say good editors must be good storytellers. Could you explain? A: The essence of what we do is storytelling. How we do it is by starting with a script and that normally turn into dailies that an editor gets and start constructing a scene based on the coverage that was provided. And we'll decide where it may be appropriate to go into close-ups or how a scene would be constructed. A lot of people take for granted where cuts are, but every cut is a deliberate decision, a creative decision that's made in an effort to tell a concise story or giving a character the most impact. Q: Things have changed with nonlinear computers. Was it easier to make the edits you needed to make with these computer generated graphics or harder? A: Storytelling is storytelling. The images we work with, whether it's live action or CG or a combination thereof, our job is the same. We're telling a story. We're trying to tell it in a way that is the most effective way to get to the essence of what every scene is. And this job doesn't change regardless of the images. I always maintain that the tools may change, but the instinctive, creative process of editing is the same. Q: People always say you can fix things in editing, how true is that really? A: I think in a CG world it's more true than it ever has been before. We were doing things like if we needed to change continuity between characters or between shots, we could actually make adjustments to motion. Say we wanted an arm movement to be advanced two seconds in the shot, we could actually do that relative to all the other characters in the shot. There was one point where Jim wanted to change a line that a character said. We brought the actor in and put the face rig on and recorded their face and voice performing a different line. And then we cut a face track for that character. It was processed so it looked like it was a native performance on that character.